Hello Friends! 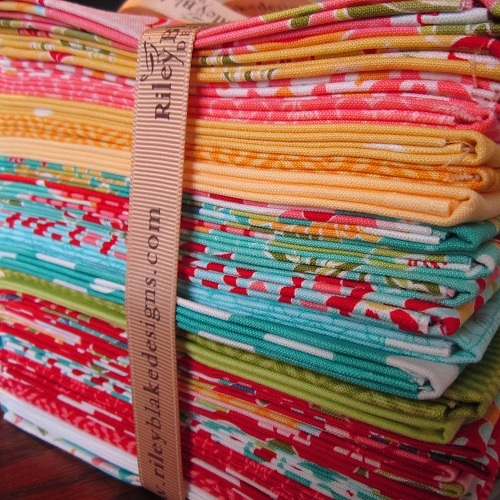 I had shown you last summer sneak peeks of a quilt I was making using Riley Blake’s Apple of My Eye fat quarters! I am happy I can finally show you “Apple of My Eye” in its entirety! 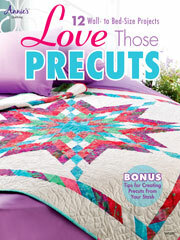 It is featured in “Love Those Precuts“, a newly released Annie’s quilt pattern book. This was a fun, easy and quick quilt to make. I thought the snowball blocks made cute sashing accents among the fabric squares. 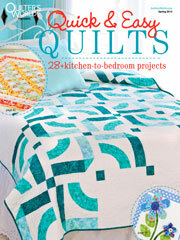 The publisher creatively styled the quilt as a child’s bed quilt. I think it can also be used as a table topper for a spring whimsical themed tea party. Here, you can see I have styled the quilt to go with more serious props. I quickly stole a few minutes from work to set out my props while Miss Baby was resting! 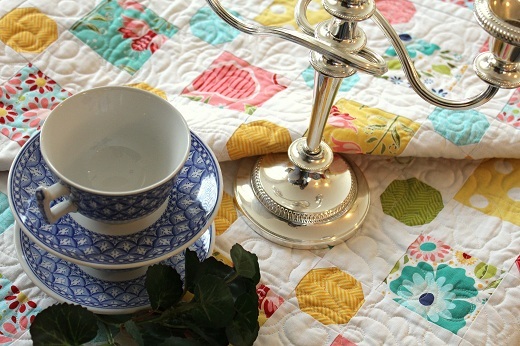 If you had followed me in my early Ivory Spring days, you would know that I used to style my quilts with tableware A LOT more, and always enjoyed it. Life is just a little bit more complicated for me to play with my dishes now compared to my pre-Miss Baby era. The quilting was accomplished with my usual partners in creativity – Aurifil Mako 50 Cotton thread over Hobbs Tuscany Silk batting. 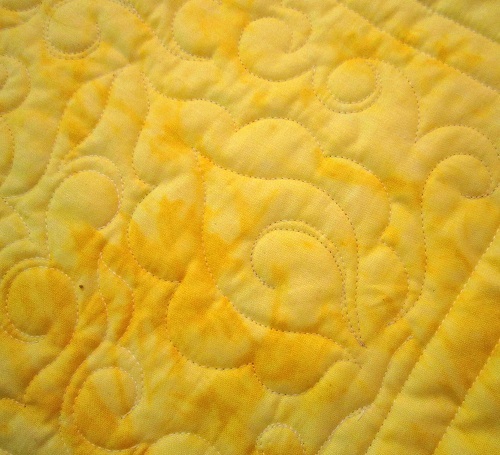 The quilting motif was inspired by the paisley print on the border fabric. 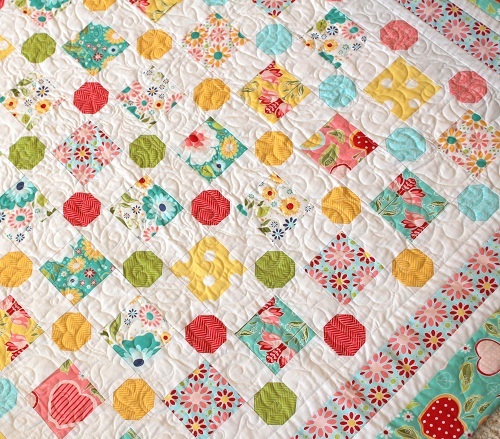 You can see it better from this picture of the quilt back, and a close up of the fabric print. I have posted the stitching path of this motif in a Thread Talk post here. Thanks for stopping by – it’s back to work I go!! 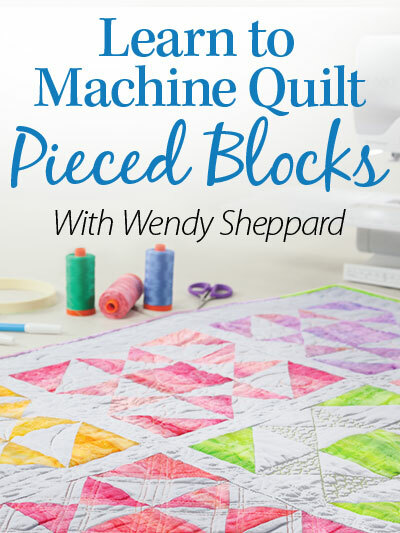 This entry was posted in Quilt Pattern, Quilting, Quilts & Projects: Published, Quilts: Pieced and tagged Annie's Love Them Precuts, Precuts Quilts, Riley Blake Apple of My Eye, Wendy Sheppard Designs. Bookmark the permalink. I’m laughing because you sent me to grammarstars.blogspot.com Actually, the name of the book in the picture is Love THOSE Precuts, which is grammatically correct, not Love THEM Precuts. Sorry, I’m my mother’s daughter. Oh gosh, Sue — That is embarrassing!! Now, you are going to think I talk “cheap” English, rather than the “Queen’s” ;) Thanks for pointing that out. I think I have made the necessary corrections in the appropriate places. 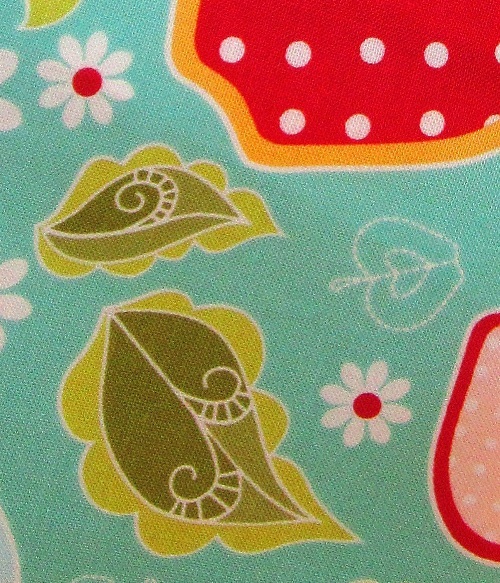 The “Apple of My Eye” fat quarters have me positively drooling! 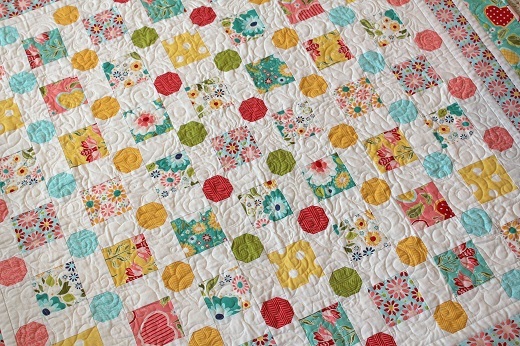 And your finished quilt is so doggone cute! Love the new quilt!! It is feminine, floral, and fun. 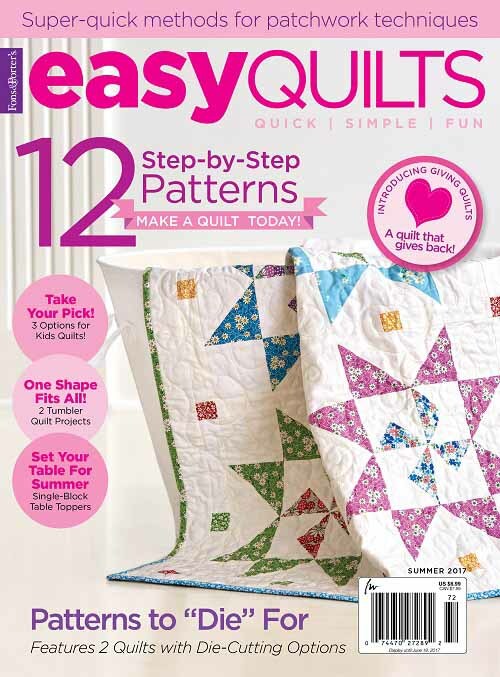 Thanks for the “thread talk” on how to quilt the new motif. 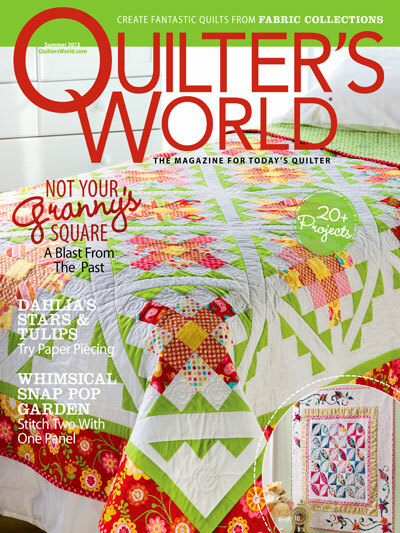 Think that I would display the quilt with a bouquet of roses that are in a milk glass vase. Fiesta Ware dishes with a colorful handled silverware would look great. Ha! 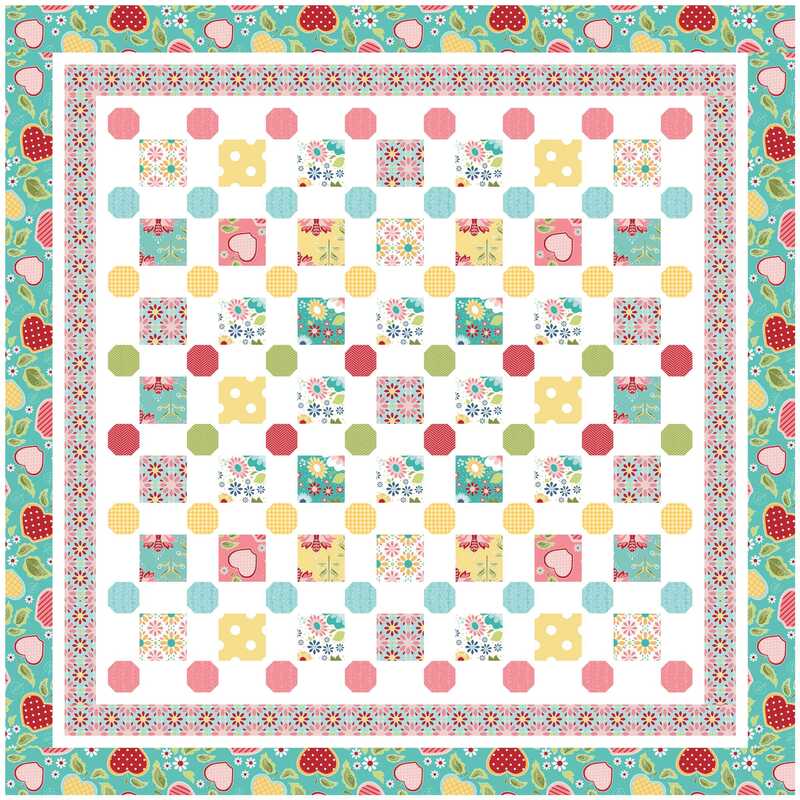 The skies the limit on what dishes would look great on this quilt! Such a cheerful one! 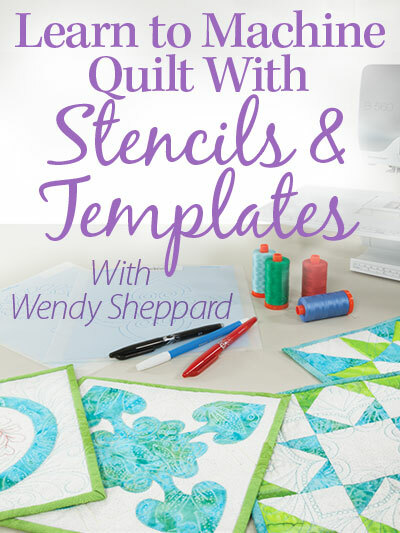 Love the quilt and the fabric – I have some in my closet waiting for me to decide what to do with it…this is making me want to get it out!! 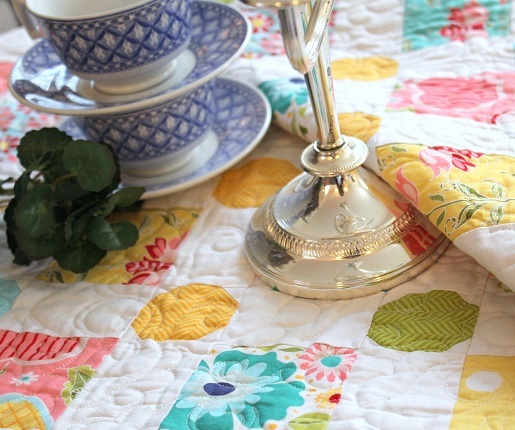 Beautiful quilt and I love those fabrics!! I have always been fascinated about the topic and I plan on doing more reading on the subject some day soon. All use social media to raise their profiles. You must really have a smart head resting on your shoulders. What is really great about this website is that it provides really quality information while also being entertaining. Top Website experts would really like your page. 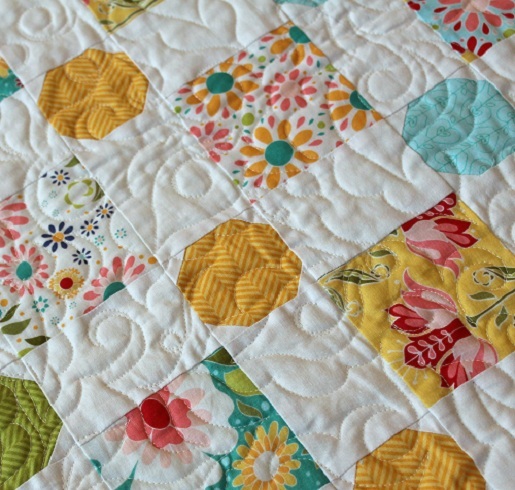 Love that stitching motif and so glad to see the rest of the quilt! So many of the fabrics I have in my stash are some type of floral! “Snowball” blocks have got to me one of the most versatile! Gorgeous finish!!! Hugs…..
Love all these delicious colors!! Congratulations. 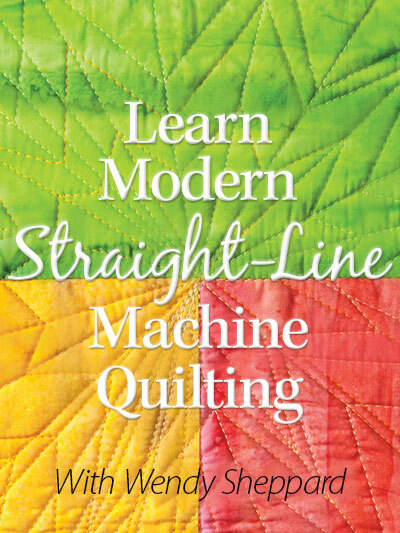 Beautiful design, yummy fabrics, and lovely free-motion quilting. The book looks like great fun. I absolutely LOVE the snowball block sashing with the simple squares. Definitely a winning combo, and thanks for showing the paisley quilting from the backside. Very pretty and unique. Congratulations! Spot on with this website. It is very informative and you are obviously very knowledgeable in this area. How many people could really believe in that sort of thing? This might be a weird thing to to say but, I like your blogs. Once again, you have taken a very sweet pattern and made it sing! I can never get enough of your patterns and what you do with them – it’s magic of the best kind !!! 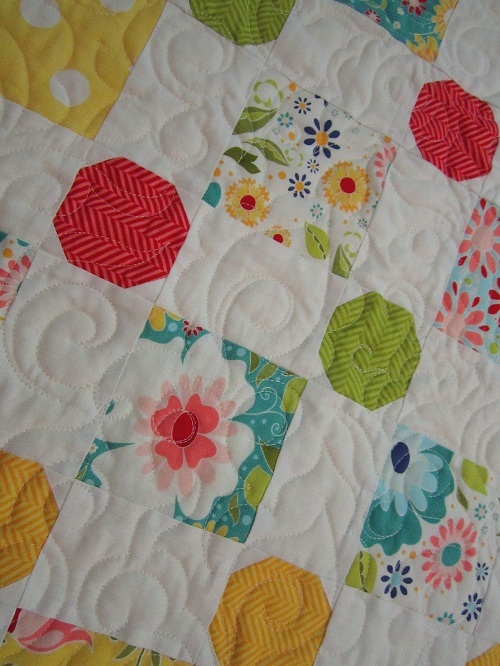 Ohhhh, another beautiful quilt!!! I am imagining it set with my pink depression era glass. Maybe a piece or two of antique silverware. Thanks for sharing! I would love to use my Aqua Pyrex serving pieces. They would be perfect. Thanks for stopping by and leaving a comment on my blog. I appreciate your thoughtfulness. 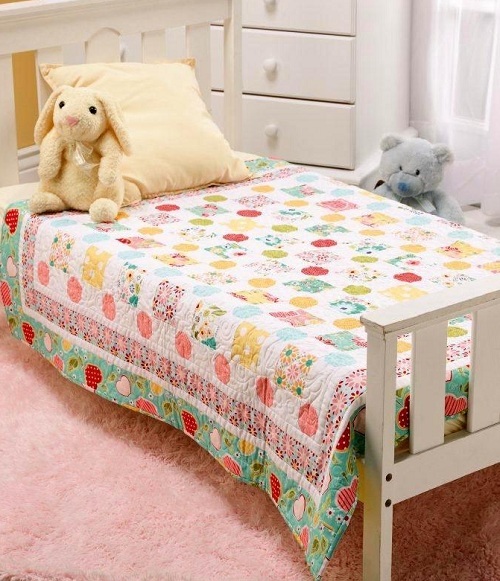 That is a very cheerful quilt, and it is perfect for a child’s bed.